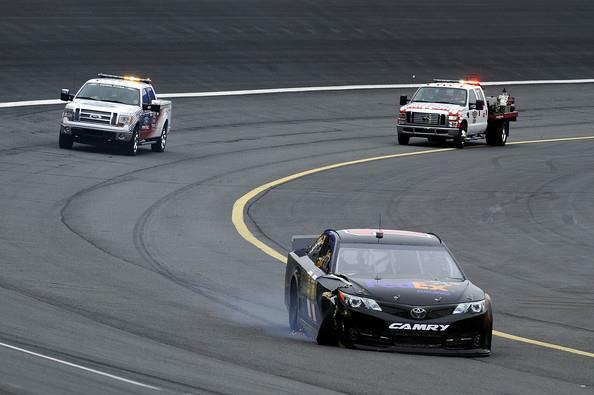 Denny had a rough day during the second testing session for the 2013 Gen6 car at Charlotte Motor Speedway. Shortly into the day, the right front upper control arm broke on Denny’s Toyota Camry leaving him helpless as his car headed for the wall. Observers commented that Hamlin was limping on one leg, but Denny confirmed that he was alright and that hitting the wall was beginning to hurt more and more.